Want to get an equation or a mathematical expression into your questions? 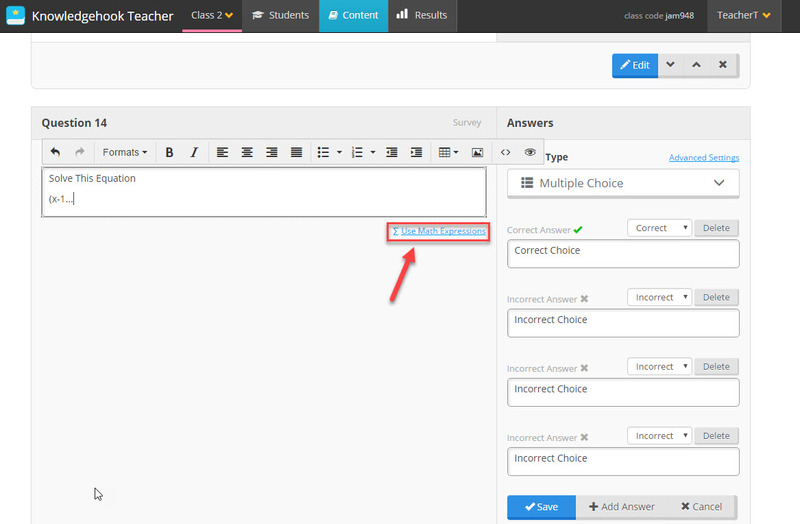 The Activity question editor allows you to put in complex or simple equations using AsciiMath code. 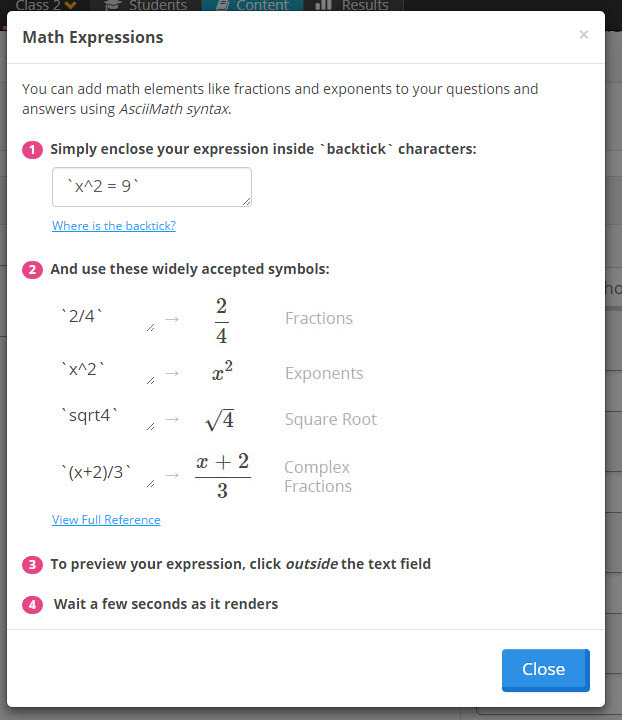 When you start editing a question, you'll see a button to learn more about using Equations.